October « 2014 « Write, or Else! TCC Edwards was one of Raging Aardvarks hardworking judges on this years Twisted Tales Flash Fiction Competition. He teaches at a university in Busan, Korea. 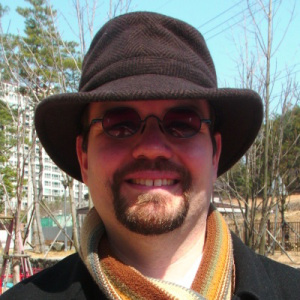 He writes science fiction, fantasy, and literary works, and has been published on EveryDayFiction.com and Ether Books. When he is not teaching or sipping coffee with his writing group, he takes his lovely wife and two sons for walks and drives across Korea. He loves travelling across the Korean countryside as he searches for new wonders to write about. He hopes you’ll visit him at writeorelse.com.